500 µl of jetSI 10 mM delivery reagent is sufficient to deliver up to 2.5 mg of siRNA to mouse brain (c.a. 100 ng of siRNA per injection). 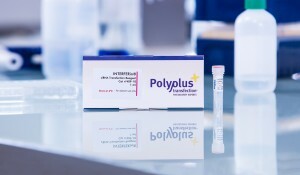 in vivo-jetPEI® is broadly used as an in vivo delivery reagent. 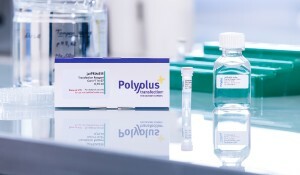 However, for siRNA delivery to the brain, Polyplus-transfection® has developed jetSI 10 mM. The choice of the most effective siRNA carrier may depend on the in vivo context. Indeed, while in vivo-jetPEI® is superior to cationic liposomes for plasmid DNA delivery in the mouse brain, jetSI 10 mM was found to be the carrier of choice for siRNA delivery to this organ (Froidevaux et al. (2006), EMBO Rep 7:1035; Guissouma et al. (2006), Neurosci Lett 406: 240; Kumar et al. (2006), PLOS Med. 3: 0505; Hassani et al. (2005), J Gene Med 7:198). 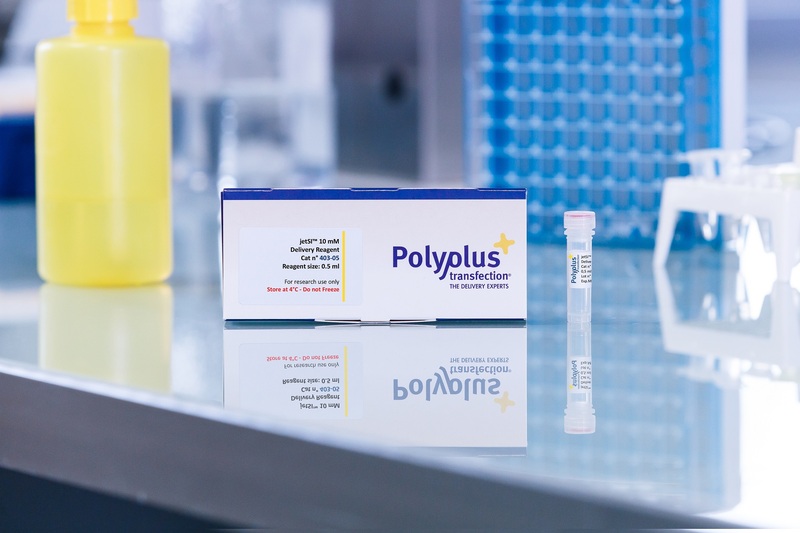 When using plasmid based approaches (shRNA) in the brain, we recommend in vivo-jetPEI®. jetSI 10 mM is perfectly suited to study gene function in the brain in vivo and provides a useful method for the validation of in vitro functional studies into animals. 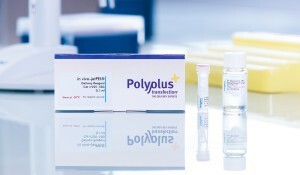 Here is a selection of relevant references using jetSI 10 mM, more are available in our Polyplus-transfection Database. Cheret, C., Gervais, A., Lelli, A., Colin, C., Amar, L., Ravassard, P., Mallet, J., Cumano, A., Krause, K. H., Mallat, M. (2008). Neurotoxic activation of microglia is promoted by a nox1-dependent NADPH oxidase., J Neurosci 28, 12039. Griggs, E. M., Young, E. J., Rumbaugh, G., Miller, C. A. (2013). MicroRNA-182 regulates amygdala-dependent memory formation., J Neurosci 33, 1734. Karatas, H., Erdener, S. E., Gursoy-Ozdemir, Y., Lule, S., Eren-Kocak, E., Sen, Z. D., Dalkara, T. (2013). Spreading depression triggers headache by activating neuronal Panx1 channels., Science 339, 1092. Tai, D. J., Hsu, W. L., Liu, Y. C., Ma, Y. L., Lee, E. H. (2011). Novel role and mechanism of protein inhibitor of activated STAT1 in spatial learning., Embo J 30, 205-2. Young, E.J., Blouin, A.M., Briggs, S.B., Sillivan, S.E., Lin, L., Cameron, M.D., Rumbaugh, G., Miller, C.A. (2015). Nonmuscle myosin IIB as a therapeutic target for the prevention of relapse to methamphetamine use., Mol Psychiatry. doi: 10.1038/mp.2015.103.